Now that the Nintendo DSi North America release date has been announced, it's time for our nation's game retailers to rise to the occasion and start taking our money. GameStop has it covered. 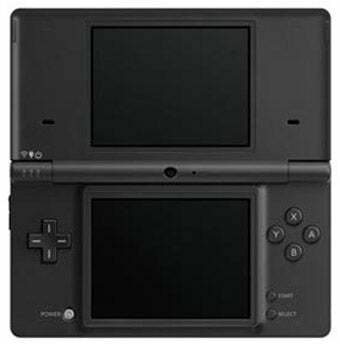 Following Gamervision's lead, a quick call to my local store revealed that preorders for Nintendo's next-generation DS will start tomorrow morning, with $25 reserving you one of the shiny new handhelds in your choice of black or blue. Gamestop corporate will be pleased to know that the game advisor I got on the phone also advised me to be sure to bring in any trades I might have to put down towards the price of the system. Like a well-oiled machine! While the rep I spoke to didn't indicate that quantities would be limited, having not been given any information regarding shipment amounts, I'd still suggested heading to your local game store and putting your money down early, just in case. You might not think you need one, but come April 5th you'll start sweating and shaking, imagining other people's hands holding one. Maybe that's just me.